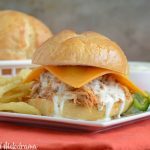 Honey Chipotle BBQ Chicken Sliders with cheddar cheese and ranch are made in the slow cooker for an easy dinner or game day snack! 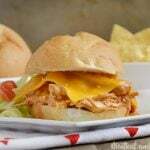 Hey friends, I have another easychicken slider recipe for you today. 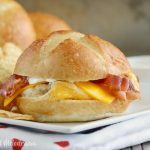 I just can’t get enough of these little sandwiches — they’re absolutely perfect when you want an easy dinner or game day snack. And man, oh man, I am so happy it’s time for football once more! Who’s with me? Anyway, sliders are super easy, especially when you make them in the Crock-Pot. Just add the meat and other ingredients, set the cook time, and let your slow cooker do the work. Dinner is ready when you are, and all that’s left to do is assemble the sliders. 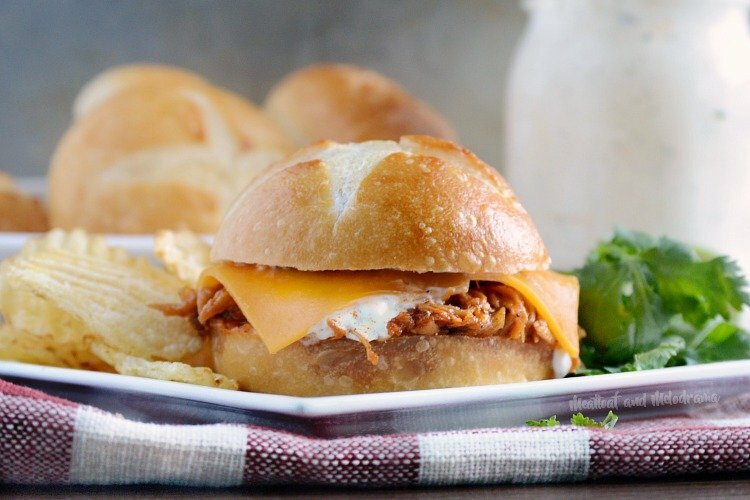 And if you’re a fan of chipotle peppers, I think you’ll love these sweet and spicy honey chipotle barbecue chicken sliders. Chipotles are dried, smoked jalapeno peppers, and you can find them canned, in a adobo sauce, or dried, like chili powder. You can use the powder to add a little extra heat to chili and just about any type of Mexican-inspired food. But I love using chipotles in adobo to add extra flavor and spice to recipes made with barbecue sauce, like these honey chipotle meatballs and these honey chipotle chicken tenders. A little goes a long way, so I usually just add a tablespoon of the adobo sauce and maybe one or two peppers. I added one chopped pepper here, since not everyone in the family can handle the heat. I also served the sliders with tangy homemade ranch, which is optional but goes really well with the smoky heat from the chipotle peppers. The sliders can be messy, so I recommend toasting the buns in the oven before serving. You can warm the buns by themselves, or you can assemble the sliders and heat them up for a few minutes before you’re ready to eat. Either way, these chicken sliders are delicious! 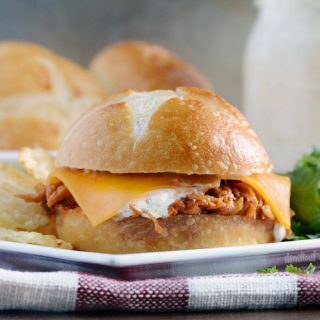 Sweet and spicy chicken sandwiches with honey chipotle BBQ sauce topped with cheddar cheese and ranch are made in the slow cooker for an easy dinner or game day snack! 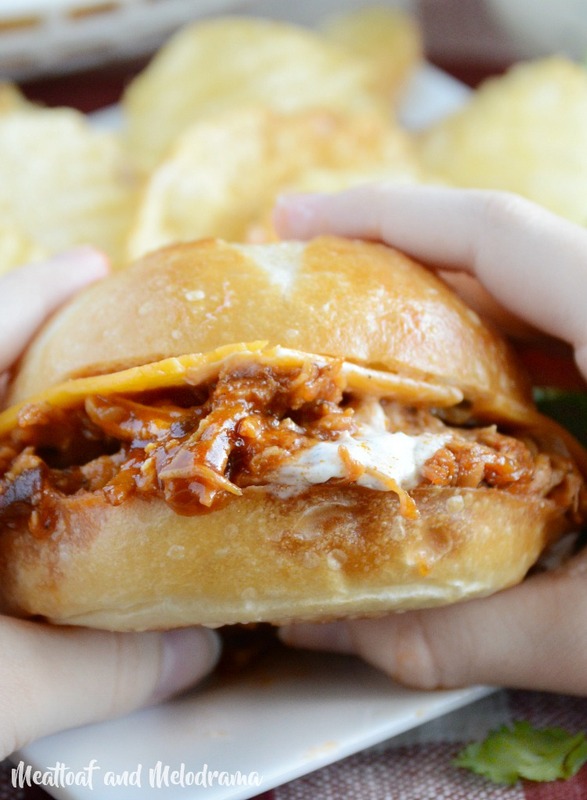 My family absolutely loved these honey chipotle BBQ chicken sliders, so we’ll definitely be having these on game days. I hope you enjoy them as much as we do! YUM! I love the sound of these sliders! We love sliders because it’s the perfect size for the kids! These look amazing! I can never get tired of them either! I ❤️ chipotle peppers! These look really great! I am loving the honey chipotle combo! 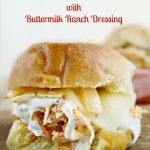 These sliders are going to be a big hit with my family! You must have known we have been on a slider kick at our house too lately. The little ones especially love them. And this one might top the list! This is perfect party food! So easy in the crock pot! Everyone will love these! 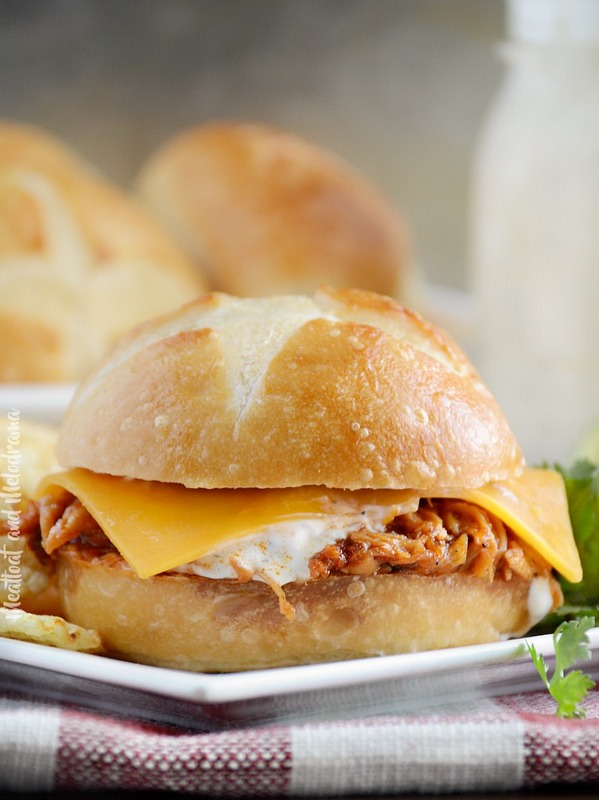 Love your Honey Chipotle Chicken Sliders, these look delicious. Thanks so much for sharing your post with us at Full Plate Thursday and have a great weekend! Ohh! Cannot wait to try these! Perfect for football season!